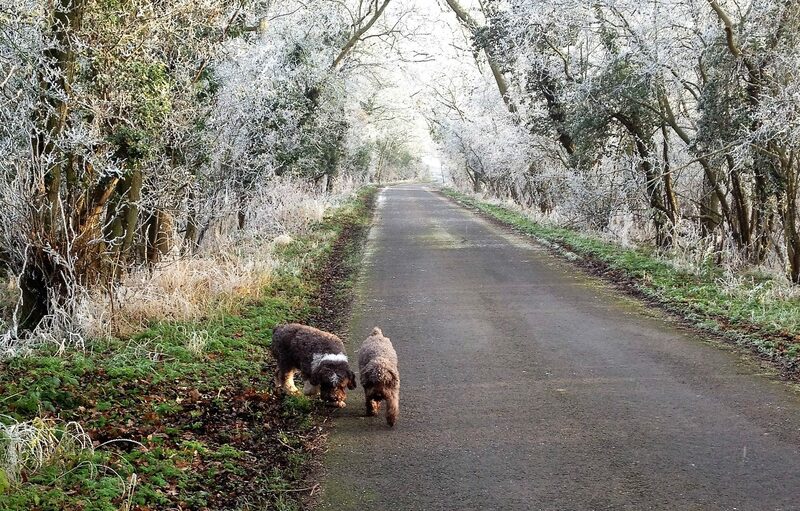 Completely Conker’s was borne out of a friendship between Nina and Nicola, brought together in their quest for finding two little missing dogs at opposite ends of the country. 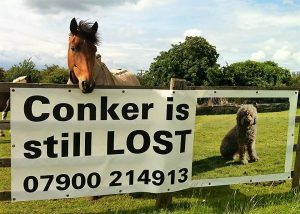 Conker, a Spanish Water Dog owned by Nicola, who has been missing from Oxfordshire since 2013 and Harvey, a phantom poodle, who went missing from Rainhill just one night later. Sadly, after 13 weeks of searching they found that Harvey had already been tragically killed on the M62 on the night of his disappearance….Conker has still to be found. It’s with this in mind, their total love of all things dog and the knowledge that so many dogs go missing, leaving owners in such desperate circumstances, that they knew something else needed to be done in order to help reunite these dogs with their owners. 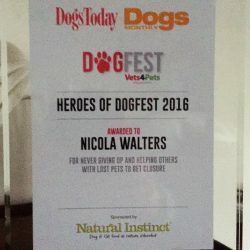 Nina hit on the idea of producing a range of dog products which could, hopefully, be distributed far and wide, knowing that the only exposure any missing dog receives is via social media and, therefore, a wider audience could be reached by advertising the missing dogs on these products. Many deserving charities and organisations are involved in reuniting missing pets with their owners, however this comes at a financial cost. In an effort to support them it has been agreed that a percentage of all profits raised from the sale of Completely Conkers products will be distributed amongst the charities and organisations chosen by the owners of the missing dogs featured. Both Nina and Nicola have long been involved in reuniting missing pets. 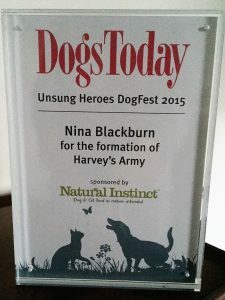 Their efforts have resulted in awards being issued by the RSPCA and Dogs Today Magazine with Nina making finalist of the Daily Mirror Animal Heroes Award as the author of Harvey’s Law, a petition which achieved 127,000 signatures and went on to be debated in Parliament. This ensured that any dog or cat who tragically lost their lives on England’s Highways would be scanned for a microchip and every effort to contact the owner would be made… indeed, this is the first animal petition ever to have been passed at Westminster. So the hard work continued…their friend Mark, an amazing chemist with over 30 years experience, joined Nina and Nicola and together they set about bringing this vision to fruition. Mark worked his animal magic to create their vision of a natural, pure, chemical and paraben free shampoo using only the finest ingredients whilst ensuring a perfect pH balance for your dog’s skin and coat. Their greatest wish is to reunite any missing dog through the distribution of Completely Conkers and hope, with your support, each of the dogs featured will be spread far and wide. The first beautiful dogs to appear on the products are seven special long-term missing dogs whom remain very close to their hearts…..Izzy, Megan, Chester, Lexi, Hansum and, of course, Conker with little Hugo featured on a Special Christmas Edition ‘Home for Christmas’ Scent. You can hear each dogs stories in their owners’ own heartbreaking words by clicking on the links for each dog and also learn about the associated Charities who will be the first beneficiaries of Completely Conkers. If you would like your missing dog to feature on any future products please complete the contact form below.